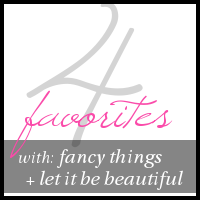 This weeks four favorites are all about feeling good! I have had a recent run of "life happening" and really the things that I am drawn to for healing are simple, and small. The feel of a new bracelet on my arm, the scent of a new fragrance, always a crisp white sandal to start the season with, and my favorite time of the day...... mornings to sip my coffee out of this whimsical mug! A new bracelet always brightens my day and this colorful J Crew one is so pretty. I love all the colors, and how chunky it is! I will always have a need for more bracelets! Some people are necklace fans, and so many girls are fans of statement necklaces, but me? I would rather stack my arm then wrap my neck! 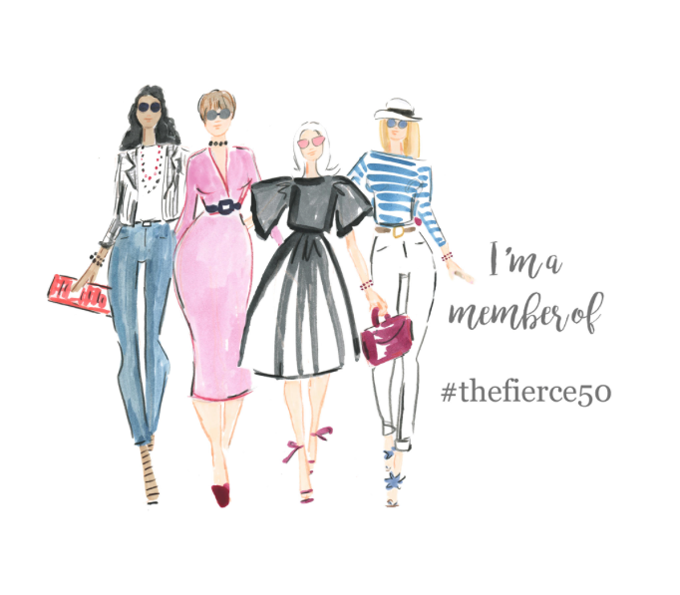 If you remember from this post last year, I am a Jo Malone fan, and layer fragrances to create my own scent! I am a fan of Pomegranate Noir, and Vanilla Anise in the winter months, and Nectarine Blossom and Honey, Grapefruit and Orange Blossom, and discontinued, Lotus Blossom in the summer months. I have always had to order my fragrances from a store as it is not carried or sold anywhere in the state of Kansas. Go Figure! Well that all changes last month when Halls announced they would be carrying Jo Malone at the Plaza location! Technically still not Kansas, but close enough!! I will be adding Blackberry and Bay to my line up as it smells so good! So I bet your wondering how a sandal made my feel good four favorites? 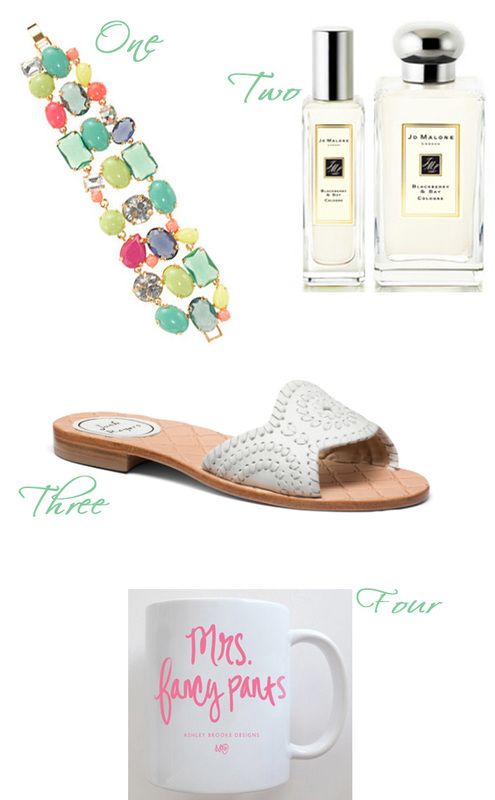 Well duh, a sandal for one, Jack Rogers for two, and a slide for three!! Perfection! Oh, and its white! I know by now you have all probably seen the darling mugs by Ashley Brooke Designs. But her newest Mrs. Fancy Pants is perfect! There is just something to wrapping your hands around the white mug, and the words Mrs. Fancy pants peeking out between your fingers that just brings a smile to my face! So whats on your feel good list this week? Don't forget I am linking up today, so hop over and see what Ashlyn and Kristin are favoriting! That bracelet is stunning! I'm more of a statement necklace girl simply because I have a small wrist and most bracelets are too big on me. LOVE jo malone -- i am actually going to a Neiman Marcus party on thursday with some blogger friends! & ashley brooke designs has some of the cutest mugs. Lisa I love your choices. It is interesting that with all that has happened these last two years it is the things like this that make a difference. I feel a little better when I know I look good, and a great bracelet, new fragrance, fun sandals, oh yes. Amazing favorites, that mug is too cute. That mug is adorable and I am not even a MRS's!